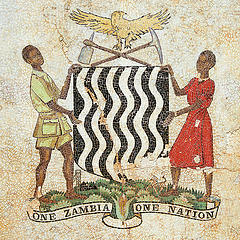 The Zambian Enterprise has now officially entered the donor community for the first time in history. Zambia has donated over 10,000 metric tones of white corn worth $2.5 million dollars to the U.N World Food Program (WFP) to feed orphans and people living with AIDS, WFP country manager for Zambia, David Stevenson disclosed. “It is the first time Zambia has done so (donating food) and it’s a tremendous gesture in many ways that shows we are collaborating well with Zambia in meeting the needs of hungry people,” Stevenson said. He added assessments were underway in Zimbabwe, Lesotho, Malawi and Swaziland on food requirements, and part of the Zambian donation could go to help feed hungry people elsewhere in Africa. This donation will also boost local food markets because the government buys its maize from small-scale farmers. So far in 2007, WFP has bought 34,000 tons of food in Zambia valued at US$7.3 million. Over the past six years, WFP purchased 295,000 tons at a cost of US$63 million in Zambia. In another development, Josette Sheeran, WFP Executive Director welcomed a critically needed donation worth in excess of US$20 million by the Republic of Korea (South Korea) to WFP’s food assistance to the Democratic People’s Republic of Korea (North Korea), where a lack of funds has already forced the agency to cut back feeding programs for schools and for at-risk infants and small children. WFP warned that many millions of North Koreans still face severe food shortages. Even with WFP now being able to reach 1.9 million people, there are still millions of vulnerable North Koreans who are going without food assistance to cover their nutritional needs. The Zambian Enterprise may want to find news means and ways to help the North Koreans now that a communiqué is in place, international co-operation is necessary especially if we are the ones on the giving side this time around as in this instance … thanks a trillion.